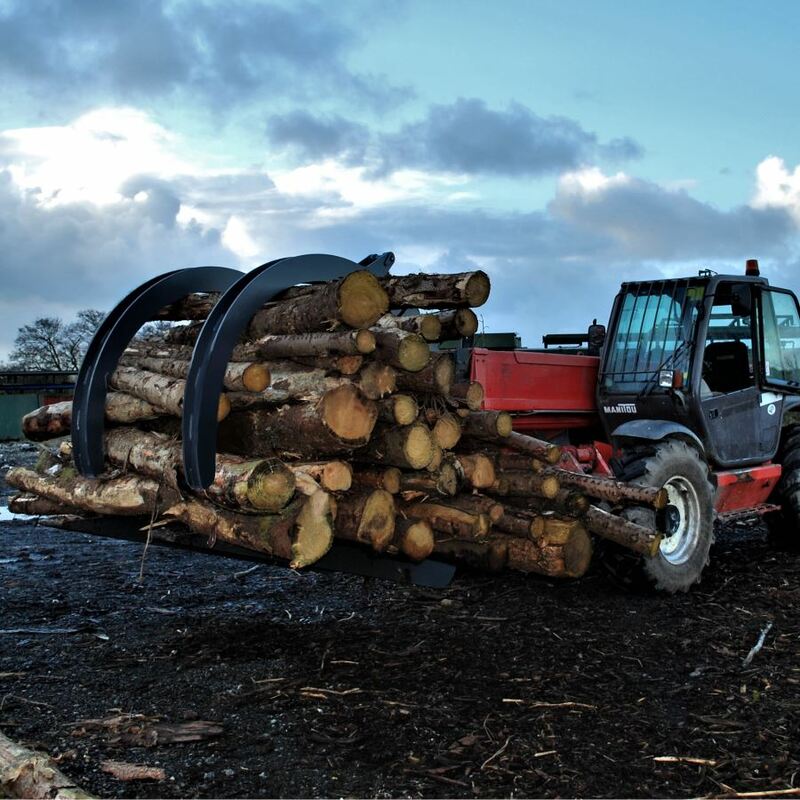 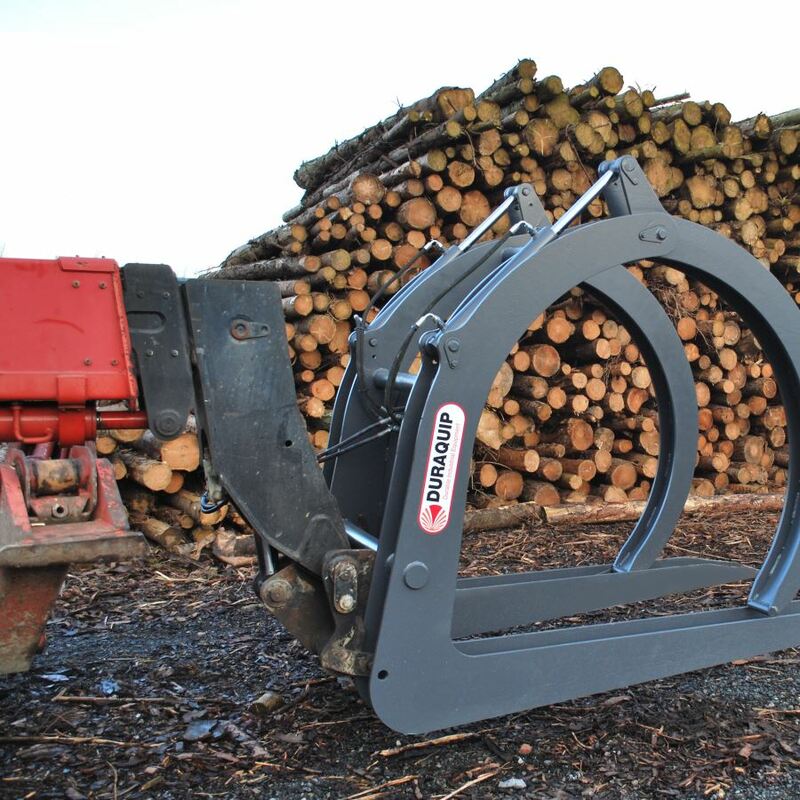 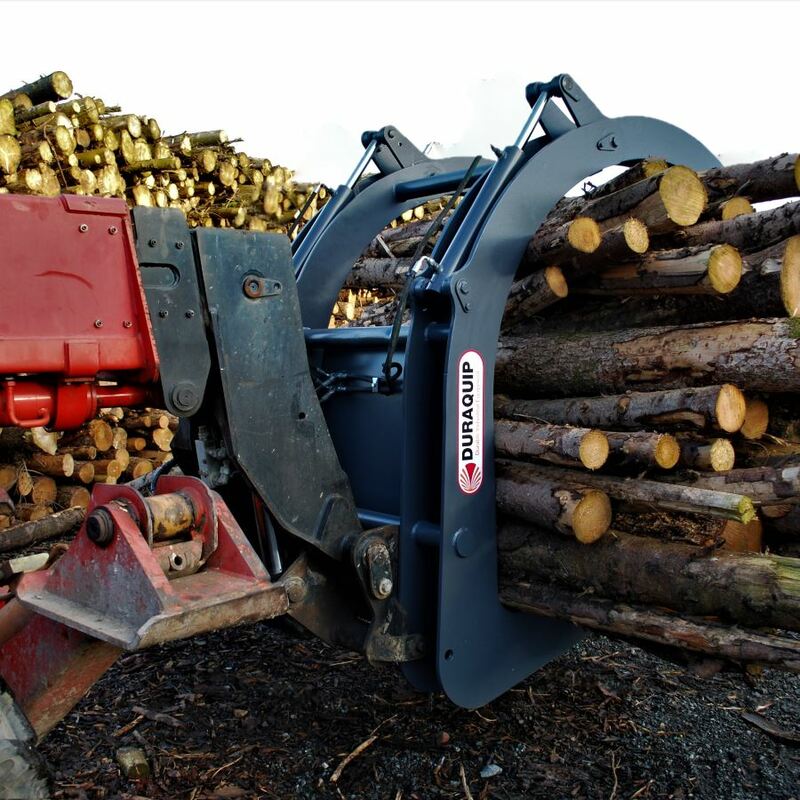 The Duraquip log grabs are heavy duty grapples for managing loads up to 2.8 tonnes of dry timber. 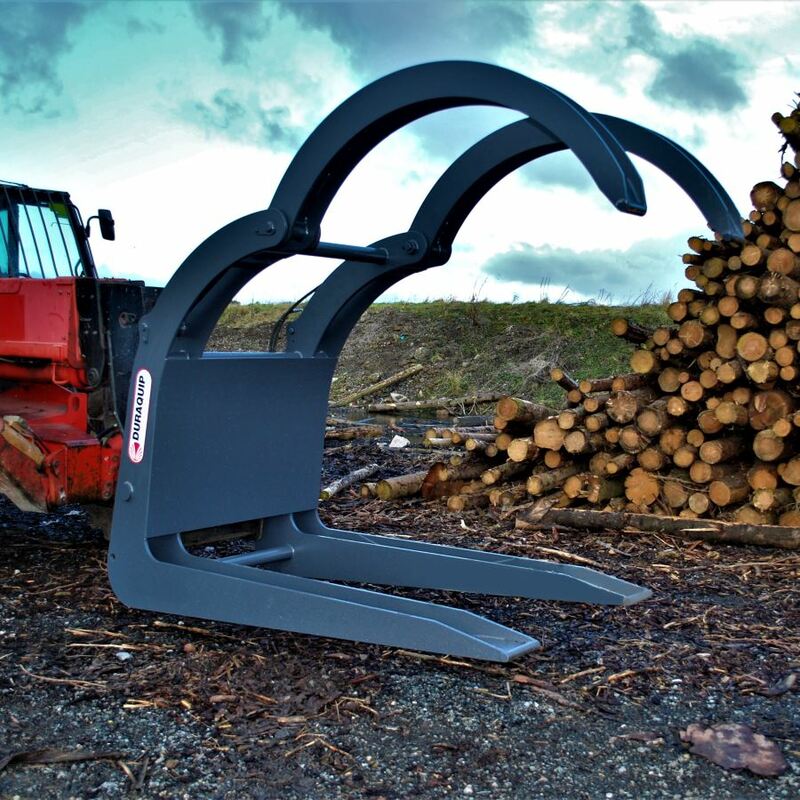 This design of grab loader for logs can be manufactured to fit telehandlers and loaders. 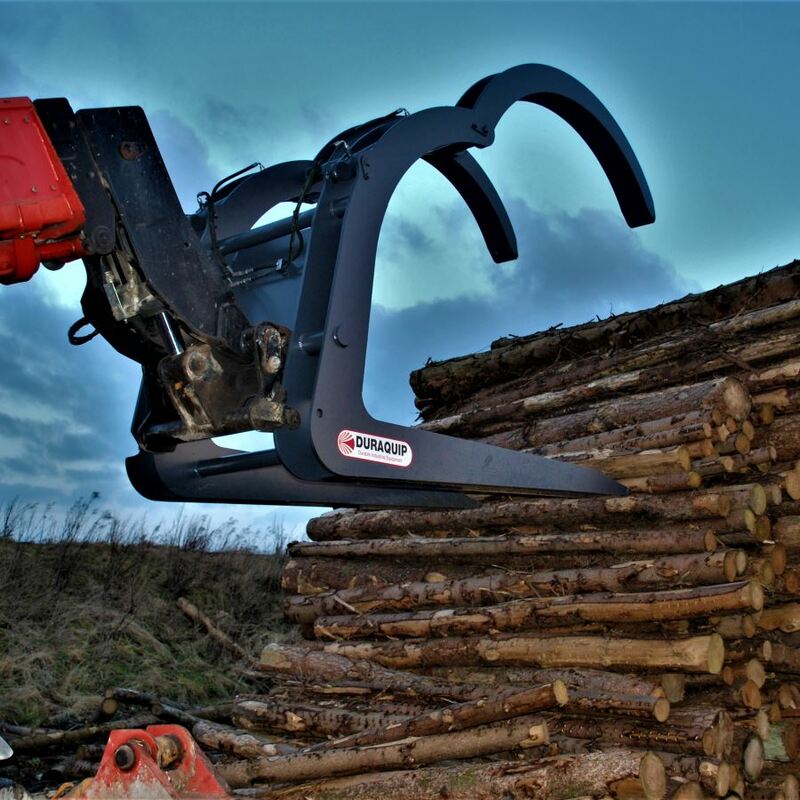 The benefits of the Duraquip design are that it has double arms and high capacity twin hydraulic cylinders. 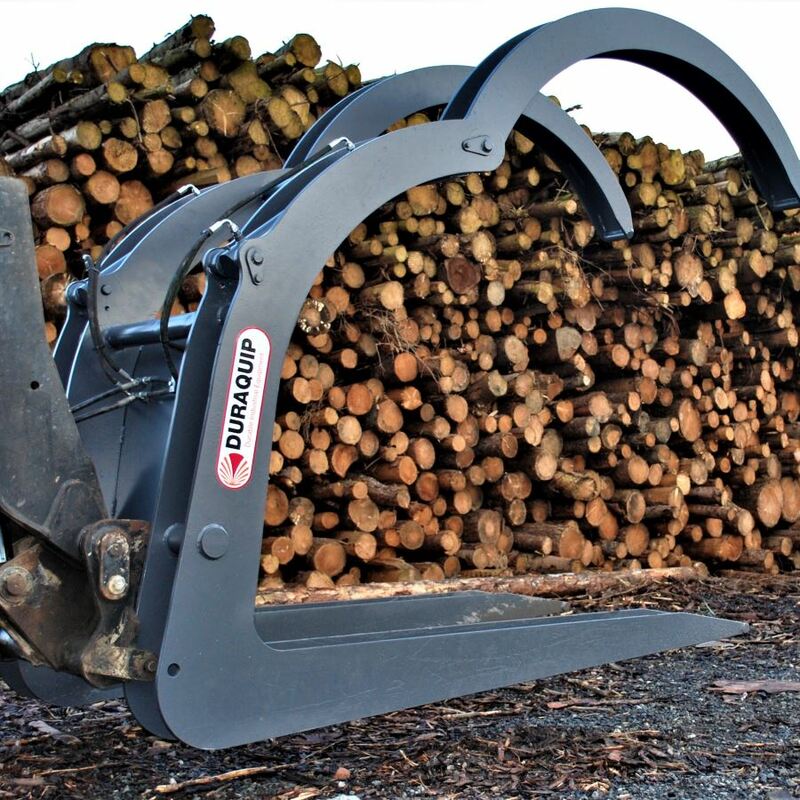 This ensures powerful and positive snagging of the load first time, with very little time wasted in working the logs into the gape correctly!